It's the most basic of tools, in fact I actually have more than 5 corner rounders sitting on my desk right now, but which one is best? Is there a difference? Are all corner rounders created equally? I'll give you the run down on two popular corner rounders that I own - the EK Success Medium Corner Rounder and We R Memory Keepers Corner Chomper. Both products are easy to use. I generally use the EK Success punch upside down so that I can see where I am punching, even though there are guides. You use it just like any other punch The Corner Chomper is a little bit more involved but also very easy to use - just squeeze the handles once you place the paper inside the open guides. I haven't had any problems with the construction or durability of my corner rounders in all the time I've owned them. The EK Success punch can only cut through a sheet or two of paper, any more than that and you might possibly run into trouble. The Corner Chomper is designed to cut through paper, cardstock, chipboard, leather, plastic, acrylic, and more. I've tried it with pretty thick chipboard (see below) and even though I had to squeeze really hard, the tool didn't suffer any ill effects! 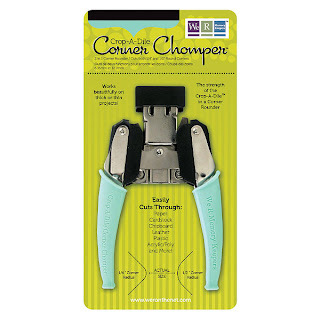 There is a large price difference between the two tools - you could purchase multiple of the smaller corner rounder punch for the cost of the Corner Chomper. However, if you need to round materials thicker than a couple of sheets of paper, then the Corner Chomper is the better option of the two. I like the size of the EK Success Corner Rounder - it's small, doesn't take up a lot of space and I can take it anywhere with me. The EK Success punch has additional uses other than simply rounding corners - you can create scallops and flowers with it! The Corner Chomper is quite large, and awkward to store. The EK Success punch cannot cut anything thicker than 2 sheets of paper - it sometimes can have difficulties with two! 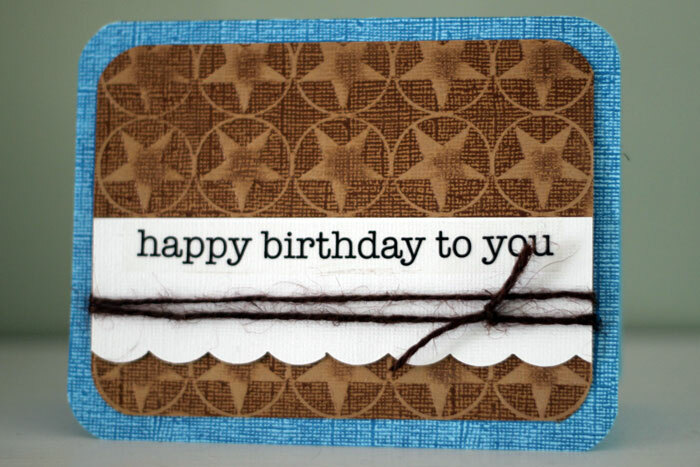 I rounded all the edges of the card base and the brown embossed cardstock here using the EK Success corner rounder. I also created the scalloped strip using it with the guard removed -- check out YouTube for videos on how to do this. You could not accomplish this using the Corner Chomper. Supplies: Core'dinations cardstock, SRM sticker, Jillibean Soup twine. Next I made a note book using my bind-it-all for my book worm daughter to keep track of the books she reads this summer. The chipboard I used for the cover was really thick and the Corner Chomper was able to round all the corners. 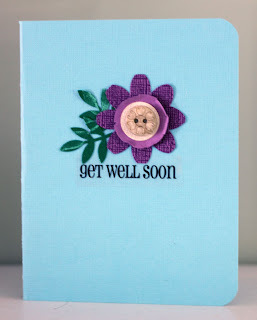 Finally I created the flower on this card using the corner punch. This technique can be done using any of the corner rounders - you punch a circle, fold it in half and round the straight edges (you keep folding and punching until you have 8 petals). Supplies: Core'dinations cardstock, SRM stickers, KI Memories button, EK Success punches. I like both products and use them on different occasions but if push came to shove, and I had to pick only one tool, I would probably go with the EK Success punch because of the size/portability and the fact that I really don't have the need to punch thicker materials very often. 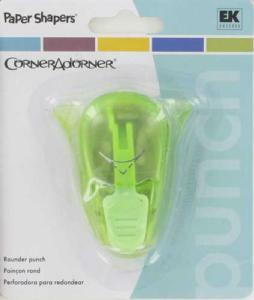 Do you use a corner rounder? What do you use it for? Which type do you like the best? ok that flower is genius! great review. i like the chomper better - i think it cuts better over the time i've owned it AND i only need the chomper not the two other punches in my bag. also the large size means it doesn't get as buried on my desk. WOW I love the flower idea and will have to try. I LOVE my corner chomper - HANDS DOWN. 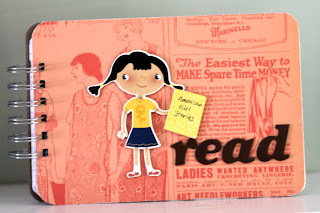 It is one of my VERY favorite scrapbooking tools. I never used to use my corner rounder much until I got this one. LOVE everything about it!! I have 2 corner rounders. I have an EK Martha Stewart medium sized corner rounder, and then I also have a small Creative Memories corner rounder that is ancient, but I still love and use them both all the time. I havent tried the corner chomper but i am intrigued by it. i love my small corner rounder by CM that i have had for years- i use it all the time... i agree that i like the portability of the EK one. Great review. I have owned several corner rounders, but I always go back to my CM brand. The chomper would be very hand for large projects. Unfortunately I have that small green corner punch--and I've replaced it because it broke once. I also owned two Martha Stewart punches (a bit bigger than that green one--also had to replace). I am saving my money to get a corner chomper--I NEED it! Love your projects:) Can't wait to get a chomper!! Thanks for reviewing the chomper; I've been wondering about getting one. i LOVED this review! soooo useful and informative! i completely agree.. if i were to use thick materials, i'd want the chomper. since i don't i love my EK rounder. ;) i love all the different ideas to use the rounder! SO COOL! I have an EK Success purple chomper and love it. So far I haven't had a need for the Corner Chomper. 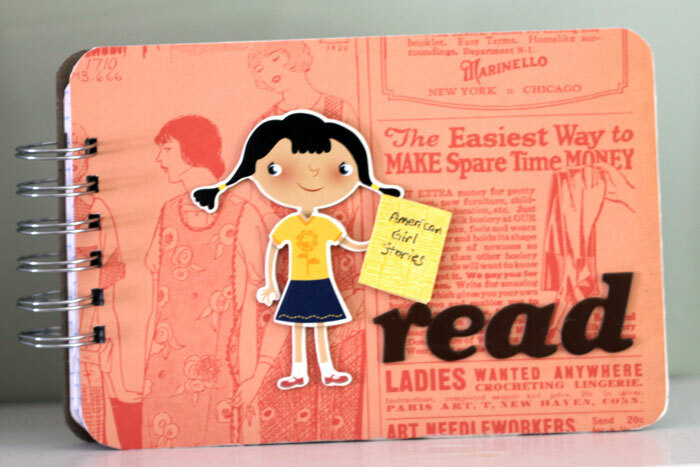 Believe it or not, I'm especially glad to see this review, because I recently picked up the EK Success rounder for my sister. I got it for $1 on WalMart clearance! I have the little EK Success corner rounder & wouldn't be without it. 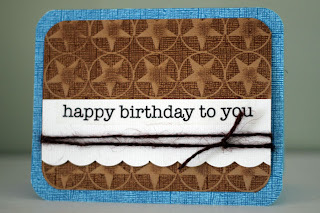 I use it for creating scalloped borders & scalloping circles for layouts.